Diana Salas became interested in neuroscience as a teenager, after a family member suffered a stroke at the age of 18. Salas excelled in her coursework, earning a place in the prestigious McNair Scholars Program, a national initiative to support students from disadvantaged backgrounds who are interested in attending graduate school. 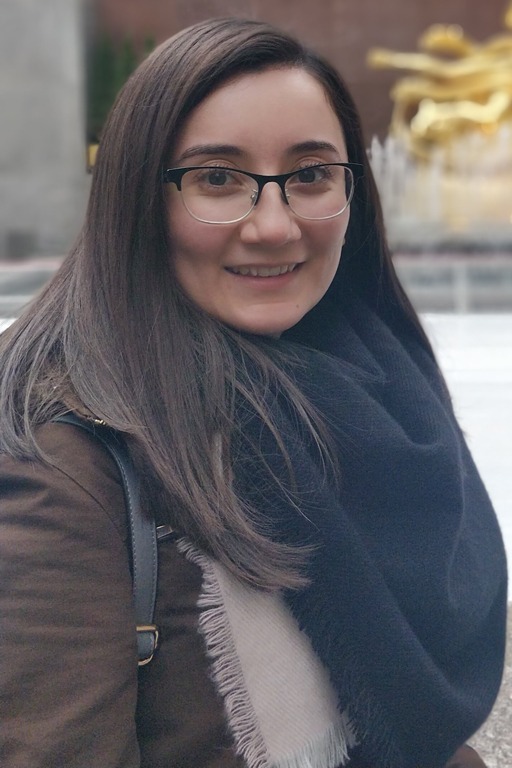 Part of the program entailed working with a mentor during the summer, so she set off in search of a faculty member with expertise in neurodegeneration. Working with Gill Chair Hui-Chen Lu, Salas researched the protein NMNAT2, which is associated with maintenance of neurons and is reduced in Alzheimer’s, Huntington’s, and Parkinson’s diseases. Using mouse models, Salas investigated both behavior and brain sections to draw associations between expression of the protein and memory. Diana Salas, former student in the Lu Lab. Salas’ experience in the lab enabled her to take on a challenging neurophysiology position after graduation, working with a team of neurosurgeons to minimize the risk of nerve damage to patients during surgery. She is now pursuing a master’s degree in cellular and integrated physiology at Indiana University–Purdue University Indianapolis and plans to attend medical school.